Designated a UNESCO World Heritage site in 1994, HaLong Bay is arguably the most popular destination in Vietnam among domestic and foreign tourists alike. 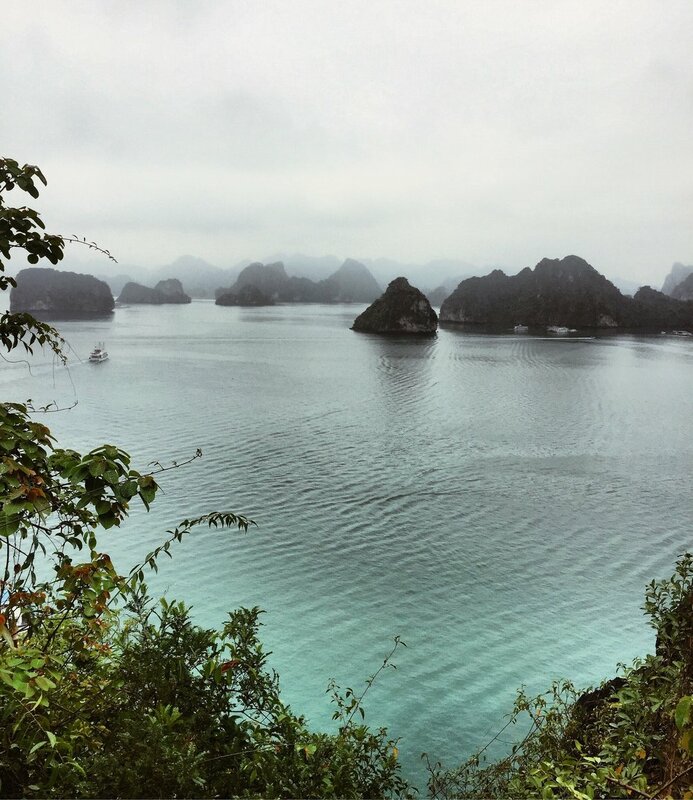 Rain or shine, the 1,600 jutting limestone cliffs and iconic crystal blue waters of the bay are breathtaking, and when planning my first visit to Vietnam in 2017, I knew it was something I had to see for myself. I definitely wasn't the only one. According to statistics from the Halong City People’s Committee, in 2017, the city welcomed about seven million visitors, up over 12% from the previous year. In many instances, the high influx of tourism in the Bay has done more harm than good to the environment and to local communities... and, really, the same can be said for many (if not most) other tourist hotspots throughout South East Asia. Some sources argue that due to the detrimental social and environmental impacts, tourists shouldn't visit at all. I disagree. HaLong Bay is popular for a reason. As with most things/places, I say absolutely do it... Go see it for yourself... but don't just hop aboard the first or cheapest junk boat you come across. First, do your research, as there are many reputable organizations who are taking steps in the right direction to protect and preserve this precious gem. If you’re going on a cruise in HaLong Bay, cruise companies typically include roundtrip transport to and from Hanoi on the day of the cruise. Since we were going to HaLong a day early, we had to arrange our own transportation. A quick google search led us to TravelerTick.com, an extremely easy to navigate site with lots of routes and transportation options. A limousine bus from Hanoi to HaLong bay cost us $19 per person and we were picked up and dropped off at the door of our accommodations (something other bus and shuttle services claimed they weren't able to do). With only 5 other people on board, we had loads of room and an extremely comfortable ride. Visit their website for more information about routes and prices.